Mekas' first completed diary film, this is an epic portrait of the New York avant-garde art scene of the 60s and a groundbreaking work of personal cinema. 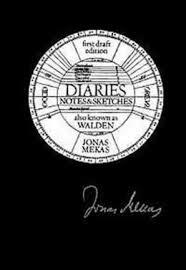 Poet and hero of the American counter-culture, Jonas Mekas, born in Lithuania in 1922, invented the diary form of film-making. Walden, his first completed diary film, an epic portrait of the New York avant-garde art scene of the 60s, is also a groundbreaking work of personal cinema. "Since 1950 I have been keeping a film diary. I have been walking around with my Bolex and reacting to the immediate reality: situations, friends, New York, seasons of the year. On some days I shoot ten frames, on others ten seconds, still on others ten minutes. Or I shoot nothing.... Walden contains material from the years 1964-1968 strung together in chronological order." "Jonas Mekas's films celebrate life. They rise up against the world's overwhelming commercialism, attempting instead to revive the pleasures of friendship, a first snowfall or the return of Spring. Mekas's genius stems from his generously including the viewer in his vision of the world, allowing us to (re)discover, in a simple image, the incredible force and necessity of poetry." Two video cassettes, poster and 150-page book with unpublished texts by 60 authors including the personalities appearing in the film.